It has recently been brought to our attention that an incorrect version of this article, containing possibly misleading references to the warranty period of the mower and battery system and the sound output during operation, was published between July 2018 and December 2018. These statements were corrected on a subsequent draft but never published. The correct version of the article has now been published. This review will be withdrawn and rewritten when we get a hands on with the newer 5.0Ah version of the mower. We apologise for any inconvenience caused because of this. An archived version of the incorrect review can provided upon request. 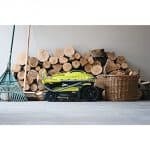 The Ryobi 18X33H40 is a versatile lawnmower from a renowned brand. This mower is designed for clean cutting and easy maneuverability around your lawn. 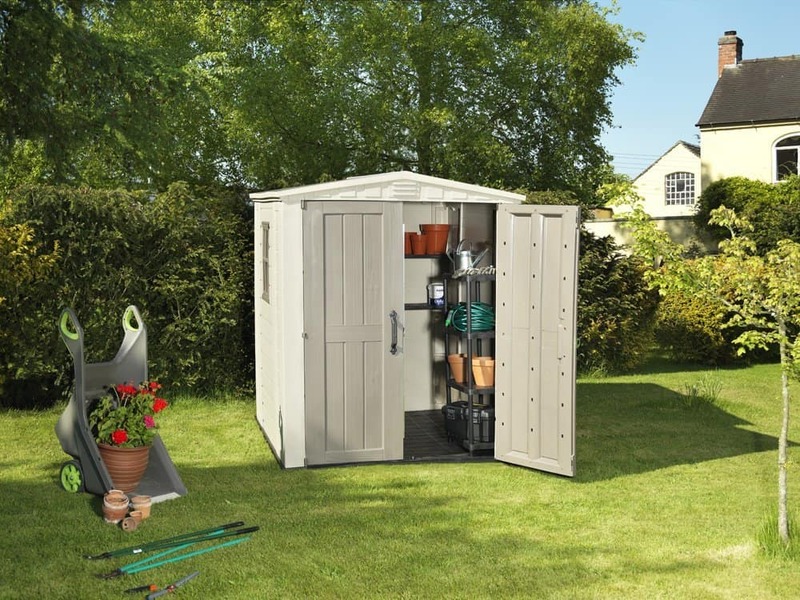 Ryobi 18X33H40 – What’s in the Box? 1 Ryobi 18X33H40 – What’s in the Box? The Ryobi’s 4.0 Ah lithium-ion battery is sturdy and durable. This battery, when fully charged, allows you to mow up to 200 metres. The good news is, this battery is compatible with all Ryobi’s 18V One+ power tools. 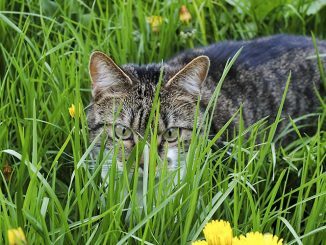 When it comes to manicuring lawns, most people go for traditional equipment like lawnmowers. 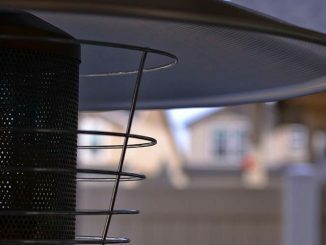 This is because lawn mowers are easy to use, reliable, and durable than other trimmers. There are many types of mowers available on the market. If you are looking for a versatile mower, we recommend you go for a cordless lawn mower. One of the best cordless lawnmowers on the market is the Ryobi 18X33H40 lawnmower. When you unpack this mower, the first thing you will notice is its small size and its sleek design. The exterior colours are hyper green and black with the Ryobi logo. At its top, you will find a battery compartment. This compartment is enough to fit one lithium ion battery. 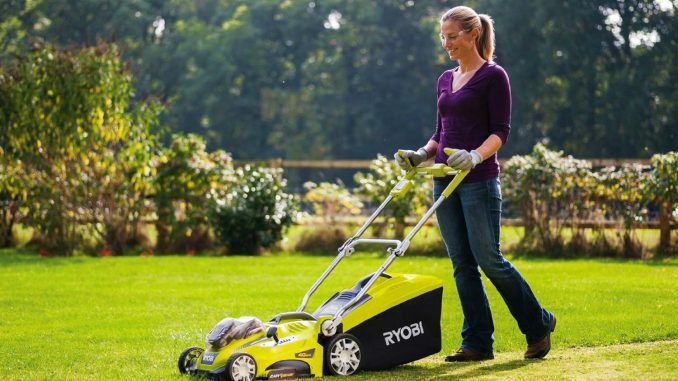 Ryobi recommends you use its 4 Ah lithium-ion battery that comes together with the mower. The battery compartment is covered with a transparent casing that allows you to see the battery charge level as you cut the grass. On the left side, next to the front wheel, there is an adjustment handle. This single point height adjustment handle allows you to adjust the 18X33H40 in 5 cutting positions. These positions range from 25mm-65mm. This allows you to adjust the machine according to the height of the grass. 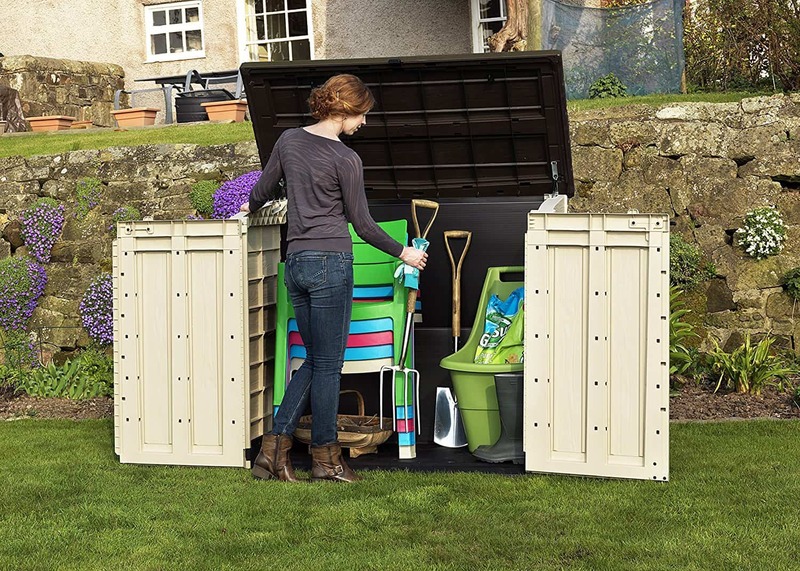 Another great feature of the 18X33H40 lawn mower is its telescopic handles. You can adjust the height of the handles in three different positions. 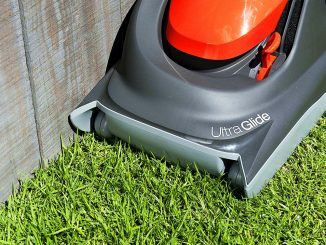 Apart from the telescopic handles, there is a handle on the top side that you can use to carry the mower around. The Ryobi 18X33H40 comes with a 33 cm metal blade. This cutting blade allows for versatile cutting. This lawn mower comes with a mulching and bagging option. If you prefer to dispose of the grass clippings, attach the catcher bag to the back of the mower. This bag fills up well and does not block up the mower. If you want to use the grass clippings to make mulch for your garden, then put the mulch plug in place. The plug grinds the grass clippings into smaller reusable bits. Unlike other mowers, this Ryobi mower spreads out the clippings evenly, making it easy for you to sweep them. Honestly, the Ryobi 18X33H40 is one of the best lawn mowers on the market. 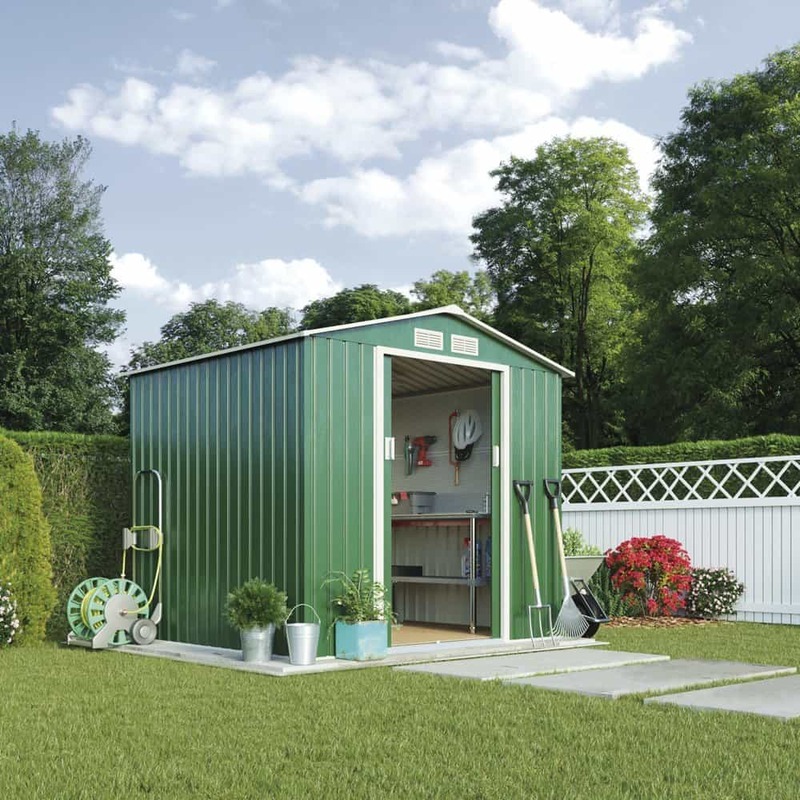 The versatile 18X33H40 is suitable for small to mid-sized lawns. This mower comes fully assembled. To set up, first attach the mulching plug or catcher bag at the back of the mower. Then insert the lithium-ion battery into the battery compartment and insert the red key. Adjust the height of the mower using the lever on the left side of the mower. Adjust the height of the handles. Start the mower using the push button on the handle. The 18X33H40 is not a self-propelled mower. You still have to push it around, but you won’t have to use much force. The big plastic wheels are designed to work efficiently, allowing you to use little energy when pushing the mower. 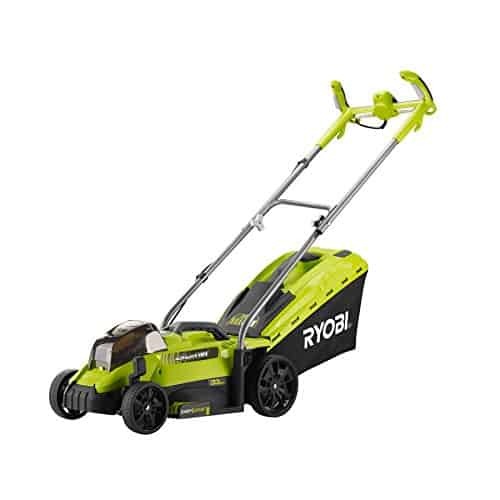 This Ryobi mower comes with a compact 33 cm deck. The 18X33H40 mower comes integrated with Ryobi’s EasyEdge technology. 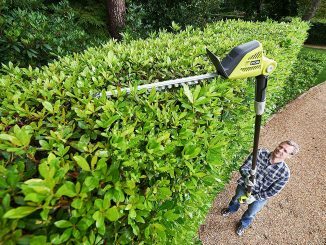 The EasyEdge grass comb allows you to mow around the flowerbeds and right to the borders of your garden. This mower is one of the smallest mowers on the market, making it easy to store. If space is an issue, you can opt to fold or completely remove the handles. 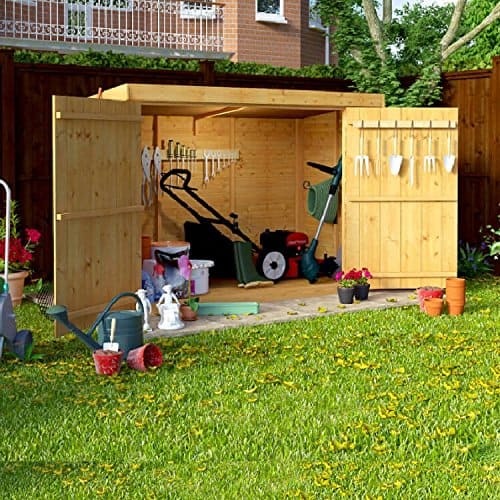 Then collapse the grass catcher and store the mower on a shelf in your garage or shed. 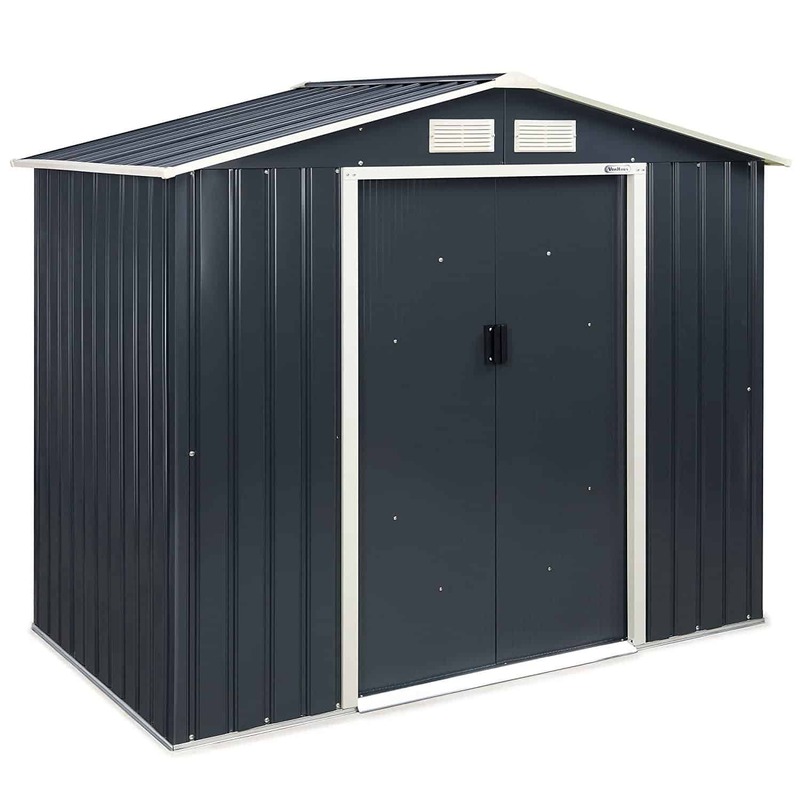 The 18X33H40 is easy to push, reliable, and easy to store. What more could you ask for? The 18X33H40 is perfect for homeowners who want a versatile, environmentally friendly mower. This Ryobi mower isn’t the quietest around with a sound output of 89 dB, but is noticeably quieter than a traditional petrol mower which tend to average out at around 95 dB. Another reason you should consider the 18X33H40 is its build. 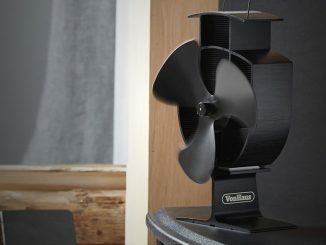 It is made of metal and sturdy plastic. This means that this machine can serve you for years to come if you properly maintain it. You can find maintenance guidelines, and service centres on the owner’s manual included in the package. Just like other Ryobi outdoors products, the 18X33H40 cordless lawnmower and battery system comes Ryobi’s standard 2 year warranty, extendable to 3 years with online registration. Other components – Ryobi charger. A well-manicured lawn is pleasant to look at and easy to use. To get the outcome you desire, you need to use a lawnmower that is compact, easy to use, and reliable. The 18X33H40 is a robust mower that is designed by a trusted brand. This cordless mower comes with its battery, is easy to push and cuts clean. It also gives you the option of mulching or bagging the cuttings. 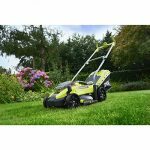 At Garden Shed Reviews we believe that this mower will meet all your lawn manicuring needs. The Ryobi 18X33H40 is Ryobi’s One+ Lawnmower offering. It has great battery life, fantastic features and is very well priced to boot.